I purchased this dress for my company? ?s party and I LOVE it! I went with the full vintage look and all eyes were on me. The fit is right on as long as you follow the size chart by your measurements to guarantee a good fit. 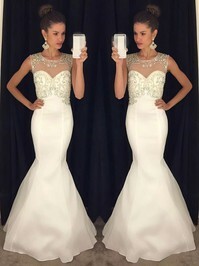 They quality of the dress was great. I was hesitant about ordering this last minute from China, but holy smokes, this dress is amazing! I wore it to a party yesterday, and I got SO many compliments! It came early and was exactly as described. Absolutely gorgeous! Beautiful prom dress, exactly what we were looking for, and production/delivery was faster than expected. MillyBridal was very friendly and helpful. Thank you! I just received my custom ordered dress today and I love it!!!! It is absolutely beautiful and fits like a glove. I made sure to order it well in advance in case of any delays. But the delivery was so quick. I received the dress within 3-4 weeks.Thanks! !